When you go abroad, you'll want to find a way to get around if you're going to be there for a while. Although the obvious option is to hire a car, there are other options. First things first, if you know you'll want to drive abroad, check whether the country you're going to needs an international drivers' licence for car rental. If so, you can apply for one at a post office, or through the AA - although be warned that an application through the AA can take more than ten working days to be processed from the date of receipt. When you leave for your holiday, make sure you have all relevant licences and identity documents with you, and you'll definitely need a credit card, too. Check the legal requirements for age, and the amount of time you've held a licence. Some car hire forms have a minimum age, often 25. Some countries also set a maximum age (in Spain, it is 79). If you don't fit the requirements you might find it hard to hire a car. You can usually pick up a car from your arrival airport, as most larger airports have airport car rental outlets belonging to the major global car hire companies. The first thing you need to do is to check the car over and make sure there's no damage - do this with an employee from the car rental company before you sign anything. When you return the car, do the same, and make sure it's noted in writing that you've returned the car with no damage...this avoids problems in the future. In some countries, you're liable for any defects in the car such as worn tyres or brakes, so be careful to check. In some European countries it's a legal requirement to have a fire extinguisher, first aid kit and other safety items in the car, so if you're renting in Europe, check that the car has everything it should do by law - the police will hold you responsible as the driver if it doesn't. Make sure you know what the agreements are for fuel - do you have to return the car with a full tank of petrol for example? Keep all your petrol receipts to prove you filled the car up on return, if that's the case. Make sure you have adequate insurance and if in doubt cover the car as comprehensively as you can afford. If possible, go for a comprehensive damage cover and check for what the policy you're offered actually covers - sometimes car rental insurance exclude damage to tyres, rims, and even stone chipping damage, which could be something to be concerned about in some areas! Make sure you're covered for theft, too. charges for essential accessories like a child seat. Would you ride a scooter on the roads in the UK? If not, it's probably best to give scooter hire in a foreign country a miss, too! There are a high number of serious injuries, and unfortunately also fatal accidents caused by scooter drivers, so unless you're an experienced rider, stick to cars and public transport. If you really must zoom around on a scooter, wear a helmet and check the bike over carefully before you take it away. If you do decide to hire a bike or a scooter, you use a reputable hire firm and ask first whether they are licensed to hire bikes to holidaymakers. Make sure you're insured and be careful! I've just returned from Florida and have received a bill for personal accident insurance and roadside recovery plus to which I wasn't asked if I required these policies!! Does the hire company have to offer you these before they add it to your car hire?? I returned my hire car 3 weeks ago and was told I would be refunded the excess EUR451 which had been charged to my Visa debit card. I still have not been refunded. I made countless phone calls and sent numerous emails but have received no information. I am repeatedly told that I will be emailed soon but as yet have received nothing. 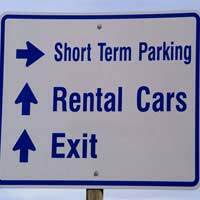 Are there regulators for car rental companies to prevent this from happening? Is there any other body I can contact besides the car hire company I booked through? I have receipts acknowledging what I am owed but when I live a few thousand miles away, there's not a lot I can do with them. EUR451 is too much money for me to forget about. It is totally wrong that I should be ripped off like this when I booked the car in good faith and kept my side of the agreement. Has this ever happened to anyone else or am I just very unlucky? Re: Should I Pay the Full Amount on a Cancelled Holiday?